Port McNeill councillor Gaby Wickstrom urges locals to make themselves heard on ferry issue. This isn’t an open letter to the government. They are not listening. This is a letter to the people who rely on the ferry as a means of transportation, whether to do business or live their lives. The BC Ferries “Community Engagements” were not a true form of consultation. Cuts are coming and we have now been “invited” to give our input as to the scheduling of those minimal runs. I read with great interest last week’s letter to the editor in the North Island Gazette from a coalition of European tour operators. They stated their dismay at the short notice of cuts, the detrimental effects this will have on their businesses and the legal implications for them, as they have contractual obligations with other partners. The Liberals’ cuts have had far reaching effects. We spent years building relationships with our foreign travel agents and in one fell swoop we have severed those ties in the most brutal way. If these cuts are affecting people in Europe, think what they are doing to the people of Vancouver Island and, especially, the Northern Route residents. Tourism aside, what about the socioeconomic impacts to these communities? How can one put a price on the hardship that has now been placed on them? Isolation, higher food costs and loss of business opportunities, just to name a few. Local governments have spoken out formally and informally. Citizens came to the meetings with an attitude of collaboration, willing to work with the government and BC Ferries to find a solution. Their voices went unheard. This is the time to fight and to fight passionately. We need to stand up with a collective voice, link arms with our First Nations communities that will be severely affected and send a voice loud and clear that this is not acceptable. Giving our input to a drastically cut schedule is not an option. 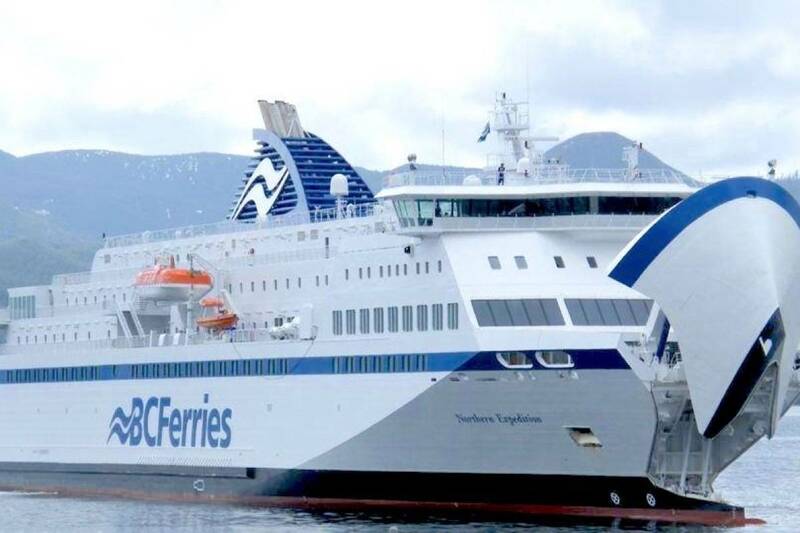 The “We asked you” section of the Gazette asked us, “Was the BC Coastal Ferries Community Engagement a waste of taxpayers’ money?” 80 per cent responded with a resounding yes! What if every adult that was part of Vancouver Island or a coastal community wrote a letter? What if you engaged friends and family that live on the mainland to support us and also write? What if that included all the companies that do business on the Island? Remember the CORE (Coalition of Resource Employees) rally in Victoria during the ’80s meant to show the government the amount of revenue generated on the Island from logging? How about the HST referendum? When the people rose up do you think those things made a difference? You bet they did! There will be a Defend Our Marine Highways Rally on the Legislature lawn in Victoria on March 11th. Try to make it there. Write a letter. Information for action is available on both the bcferrycoalition.org and bcmarinehighway.org websites. Now is not the time for apathy. Make your voice heard! You can make a difference!